Home > Legislative	> Recoupment Bill Passes the House! Recoupment Bill Passes the House! The bill passed 82-28 and now moves on to the Senate. The Illinois Chiropractic Society is looking forward to working with Senator Heather Steans who will be our sponsor in the next step of the process. I want to thank all of the doctors who took the time to contact their legislators and fighting for their profession. 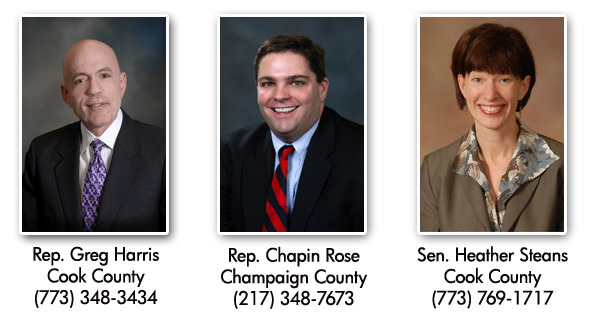 If any of our MVPs are your own legislators, please make sure you take a moment to thank them for all of their service on behalf of health care providers across Illinois. The comparative fee schedule shows the outrageous costs imposed on the WC system by the medical profession.Simple solution to the WC problem: make DCs the portal of entry for any workcomp injury that is not a medical emergency or obvious surgical situation. To see fees that are double and triple the median amount demonstrates a medical approach run amok. We at least need the chance to show what we can do to dramatically reduce these costs and show our effectiveness in managing NMS conditions.